Your sales team is making lots of visits, getting on well with potential customers and business is coming through the door. However, targets are not being met – the cause could be that you don’t have enough prospects being worked on. The start of the Sales Process – generating leads, is the activity that is furthest away from the finish line and bringing in the revenue. It’s not glamorous and is often neglected. However, does lead generation have any less significance than submitting proposals or closing business? No…….not at all. The flow of opportunities through a sales pipeline is often hindered by insufficient leads being entered at the start. 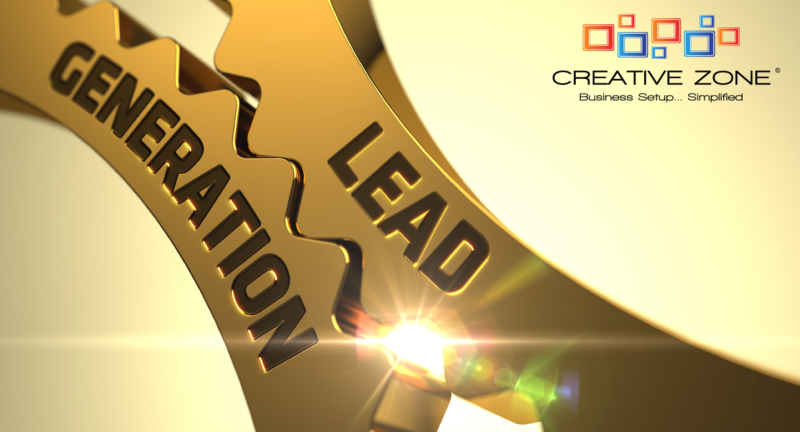 Whilst every activity is important in selling, have you ever taken the time to look at your sales teams activities in this key area and provided them with a clear plan on how much time should be committed to lead generation? If you have you are in a minority in this market. If you haven’t, read on…..
As you can see, everything about Mohammed and Asif is the same in regards to their skills, ability and overall activity. The only difference is that Asif spends more time identifying Opportunities that are more likely to close. Many people say that a closing ratio is based on the sales persons skill in sealing deals, however if we were to get the best sales person in the world to work on Mohammed’s pipeline they will not win all of the business as some of the clients are just not in your target market. Their requirements are just not in line with your offerings. The key is not to just fill the pipeline when generating leads, but to fill them with leads from your target market. We need to remember now that sales people will come up with some brilliant ideas, as sales people do, but how many will wake up the next day with any intention of executing their fantastic plans from the previous day? Not many. You will personally need to be clear on the plans of the individuals you are managing and gain their direct commitment to working to these plans including what actions are going to take place and how much time are they going to spend on each action. Get them to put in a weekly or monthly report and then FOLLOW UP. The best way to do this is to think when sitting in front of a client, what do they say that excites you. For example if they say we have offices internationally and your business is dependent on that, you can search for companies that are not owned privately in this region (remember, there may be some privately owned companies that have an international presence but we are looking for the majority). If a client says they have over 500 employees and this makes you jump up, you can easily search for companies within your territory with this many employees. However, I did get challenged by another company on this approach. The preferred knocking on doors to generate leads as to them having ‘eyes and ears’ on potential clients was essential. We agreed that they would still go ahead with the segmentation but instead of calling the clients, (as the numbers of their target audience was so large), they could strategically cold call on clients they had previously identified. For example they would go to an industrial area where there were 60 companies, but only knock on 5 doors. They had huge success with this as they spent less time on wasted contacts and much higher return. time of introduction because of the strength of the referral! This doesn’t work in all cases, but start looking for non competitive companies that have the same target audience as you do and cooperate. I was working with a high end relocation company that had a very low closing ratio of around 5%. They had no issues finding an audience of companies who relocated their staff however when it got to pricing their offer, potential customers were unwilling to pay a premium. As part of their service, this relocation company would help newcomers to an area find schools for their children, identify suitable places to live, connect their utilities etc. so giving more than just moving their effects. Many of their potential clients stated that they valued their employees but not to this extent. Basically many of the companies contacted were not in their true target market. After a brain storming session on referral partners we discussed what non competitive organisations had the same target market as them. One lady salesperson had a great idea and the very next day she had lunch with a friend who was a sales person at a travel agency. After this meeting she added 13 opportunities to her pipeline and in the next 3 months her closing ration increased from 4% to 23%. Yes, well done. Her friend gave her a list of companies that send their staff Business Class or First Class when travelling on business. These companies are spending more money on their employees welfare and therefore are very likely to do the same with relocation. One point to remember with referral partners: from my experience you can pay people to help you or offer other advantages but then I believe the best way to get somebody to help you is help them as well. On the face of it this information was tough to find out, but during a brainstorming session we developed the idea for approach employees of water delivery companies asking them to let us know which offices were over crowded. We would find a way to incentivise the water bottle delivery employees for the info. Although it worked, it didn’t work in quite the way we expected. No companies were identified through this mechanism that planned to move within the next 6 months, however 24 companies were added to the pipeline who intended to move in 6-18 months and believe it or not they sold these leads to Real Estate companies!!!! !